"Urban Resilience in Situations of Chronic Violence" - done in partnership with Diane Davis and others. An innovative take on urban violence and how people cope. Done for USAID. Diane mainly wrote the study. I pieced together a shorter "toolkit." We presented at the agency and the Woodrow Wilson Center in July 2012. 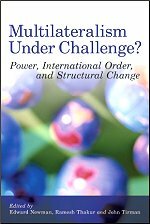 The Iran Crisis, and Opportunity: a 2009 "white paper" about how to deal with a regime that is increasingly isolated and authoritarian. 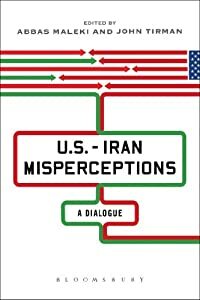 The Iran Snafu (August 1, 2013): The problem with nuclear negotiations may be found in Washington. Read. The first prez debate was a disaster, and the next one could be too. Read. On Libya: Intervention has its costs. Sept. 19, Huff Post. Another case for the public sector: Huff Post, Sept. 10, 2012. Domestic terrorism and the right wing. It often seems that most of the political violence in this country comes from the extreme right. An analysis in Huffington Post. A topic about which I feel strongly but about which I've done too little research and writing--climate change. In the Huff Post, July 1. On the Iran nuclear negotiations, May 25, 2012. WAS ARAB SPRING A FAILURE? Not yet, but be wary. (April 23). ADRIFT WITH RACHEL MADDOW'S LAMENT. A better talk show host than historian. Read. April 5. IS ISRAEL IT'S OWN WORST ENEMY? My March 12th Huffington Post column argues that it just might be. A FEW COMMENTS ABOUT AFGHANISTAN and its puzzling disappearance from American political discourse are found in my Feb. 23 Huffington Post piece. I TAKE UP THE HADITHA "VERDICT" IN ALTERNET Read. The Iraq War's gone missing. Read about it in Huffington Post (February 13, 2012). I DISSECT ROMNEY'S FATUOUS FOREIGN POLICY THINKING, an easy target, in the HP. Read. New York Times op-ed ON THE FORGOTTEN WAGES OF WAR getting a lot of positive response (January 4). MY WASHINGTON POST "OUTLOOK" PIECE in January 2012 has generated a remarkable amount of mail to me, nearly all of it thankful. This is heartening, of course, and I'm also struck by how many members of the military wrote to laud thepiece as well. Struck a nerve, clearly. Here it is. THE GOP'S BELLIGERENCY TOWARD IRAN is a demonstration of what I've been saying for months--if we don't learn the lesson of how destructive the war in Iraq has been, we will plunge toward another. By minimizing the casualties and other evidence of chaos wrought in Iraq, the political and opinion leaders in America are inviting the unwarranted sabre-rattling toward Iran. Read more in my first column for the Huffington Post. (Jan. 3). A NOVEMBER 2011PIECE IN THE WASHINGTON SPECTATOR ASKS HOW WE WILL REMEMBER THE IRAQ WAR. By me. Reprinted in Firebrand. Read. REMEMBERING HOWARD ZINN. I first met Howard Zinn in September 1972 when I entered Boston University as a PhD student, drawn there, mainly, because of him. Howard immediately impressed me in two ways: his warmth and informality, and his ferocious intellect. He was my teacher, but like hundreds of students before and after me, he also became my friend, and we remained so for the ensuing 38 years. I got to know his wonderful wife, Roz, and we would see or write each other somewhat frequently - though not often enough - over the years. His influence on me was enormous. He was further to the left than I was, but his way of thinking and writing critically was formative of my own. The Real Threat Isn't from Muslims (March 2011) in the Boston Globe takes on the xenophobic Peter King (R-NY) who has the cheek to hold hearings on the "radicalization" of Muslims in America, when indeed nearly all terrorism springs from the right wing. What Wikileaks' Iraq documents don't tell us (Oct 2010) - The revelations about Iraq and the civilian losses were buried, with the news media accepting the lowest estimated numbers of casualties. This article appeared in AlterNet. The Twenty Years War: How and Why Iraq (August 2010) - We have fought a war lasting two decades in Iraq, including a sanctions regime that killed 500,000 children, and there is now a regime that is largely anti-American, pro-Iranian, unstable, and corrupt. For this, more than 1 million are dead, 5 million have fled, and the U.S. has burned up $3 trillion. What happened? This article appeared in the Boston Sunday Globe. Now, more than ever: Obama needs a theme. He can rescue the frontier myth from the likes of Sarah Palin and use it to rejuvenate America's promise. 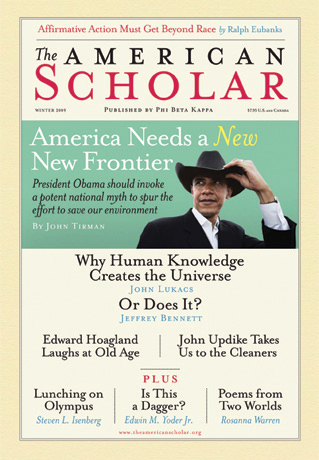 The how-to is in this December 2008 piece in the American Scholar. ESTIMATING WAR DEATHS: A VERY BRIEF PRIMER. So many people do not understand the methods used to estimate war mortality that I here give a little primer. The household surveys, or "population studies," used in Iraq by the Johns Hopkins University researchers (the "Lancet studies") and by the World Health Organization and the Iraq Ministry of Health are generally considered the state of the art method for estimating war-related deaths. The alternative--actual counting through news media, morgue, or U.S. military reports--have serious drawbacks. of Iraq, and even most of Baghdad, has now become ‘off -limits’ for Western journalists.” This indicates that most of what is captured by journalists (and reporting deaths is not their main business) was in Baghdad. Yet we know from other sources, including the Multinational Force, that as much or more violence was occurring outside Baghdad. So a great amount of killing was missed. Other problems include what constitutes a violent death, who is a civilian, and other nagging issues that have never been adequately addressed, or addressed at all. The population studies, by contrast, are randomized, nationwide surveys. They may get the sample wrong, but it's now been repeated enough to suggest a fairly decent accuracy. These surveys ask whether anyone in the household has died during the war, establish a prewar mortality rate, and calculate the difference. 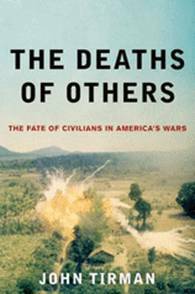 The Ministry of Health survey found 400,000 excess deaths--attributable to war--in June 2006; the Hopkins scientists found 650,000 at the same time. There was still a lot of killing to come. There are other data--numbers of refugees and internally displaced (5 million), war widows (reported by the government to be 750,000), that tend to verify the household surveys. The most authoritative review of all these estimates is found in the peer-reviewed journal, Conflict & Health. So when I use a figure like 700,000 deaths in the Iraq War, I am being conservative. It could easily be 1 million or more, which is still well below the death rates for many armed conflicts. (January 6). 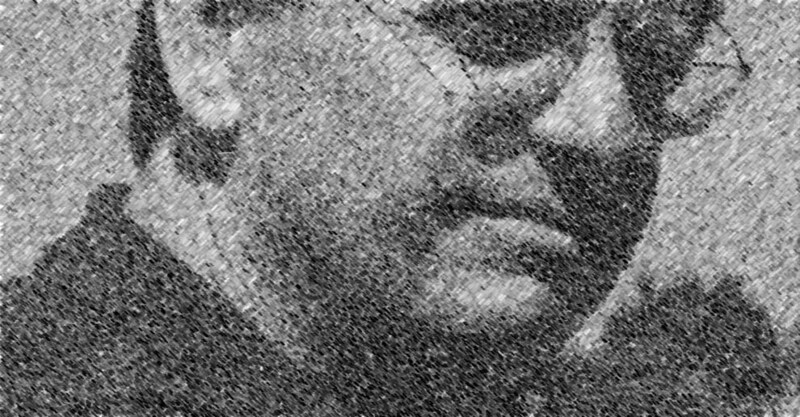 Analysis of the media controversy stirred by the National Journal Annotated analysis.